Located near Brighton, White Crow Guitarworks offer tuition in the construction of fretted instruments, focusing on guitar, ukulele and mandolin. We also offer short courses in guitar maintenance, setup and repair. White Crow Guitarworks consists of David Whiteman and David Crozier and is based in Shoreham-by-Sea, West Sussex. David Whiteman is a classical guitar maker with over 30 years experience. David Crozier has a lifelong love of guitars and specialises in guitar repair and restoration. At White Crow, we offer a mix of courses suitable for any skill level, from basic woodworking to building a classical guitar. There’s also steel string making, mandolin and uke building and a brilliant guitar maintenance course for both acoustic and electric. 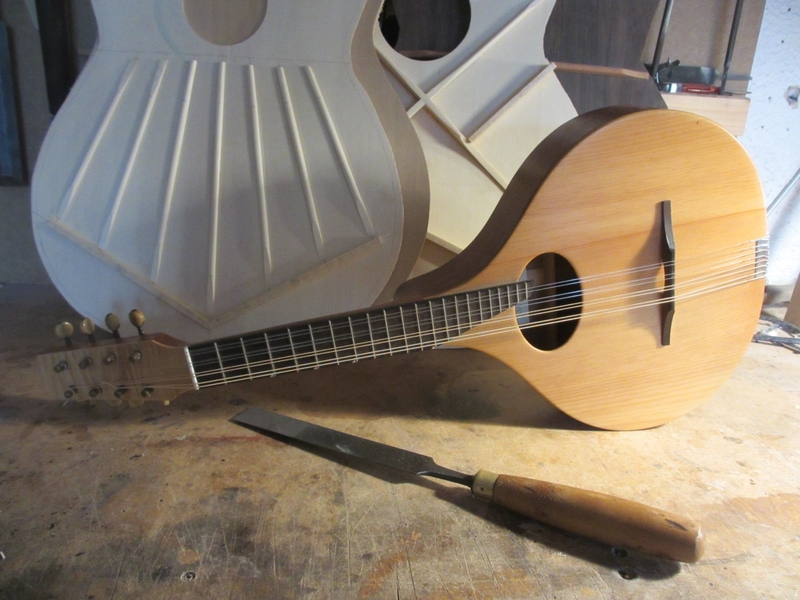 Learn to make a guitar based on the work of the great Spanish maker, Antonio Torres. Build an OM style guitar with a 14 fret body join and a 640mm scale length. Make a simple uke pretty much from scratch. Building a flat back mandolin. This is the course for those who want to get the very best from their instruments or become a guitar technician. Fancy making an instrument but never touched a plane before? Don’t worry. We’re here to help. Please email davidrwhiteman@aol.com to book your place on any of our courses.